He’s the youngest chef to receive a Michelin Star, loved by his peers and a hit on the Great British Menu, Sarah Freeman heads to Tommy Banks’ new restaurant Roots to see what all the fuss is about. Ten years ago, the restaurant scene in York was pretty woeful. With an endless stream of tourists looking for quick eats before joining the queue at Jorvik, chains dominated and aside from Melton’s and the now sadly defunct Blue Bicycle if you wanted something more interesting you had to go elsewhere. But then came Skosh – still criminally overlooked by Michelin – Andrew Pern opened the Star Inn the City and Mr P’s Curious Tavern in quick succession and they joined Adam Jackson who has been quietly doing fabulous things at The Park, just outside the city walls. It was Jackson who first put the Black Swan at Oldstead on the map, winning the North York Moors restaurant its first Michelin star in 2012 and now his successor Tommy Banks has arrived in the city. York is lucky to have him. Like the Black Swan, Roots is very much a family affair. Tommy’s brother James is in charge of front-of-house; mum and dad, Anne and Tom, are there in the background doing the sums and generally trouble-shooting and all the kitchen team trained under the Michelin star chef. It’s a winning formula. 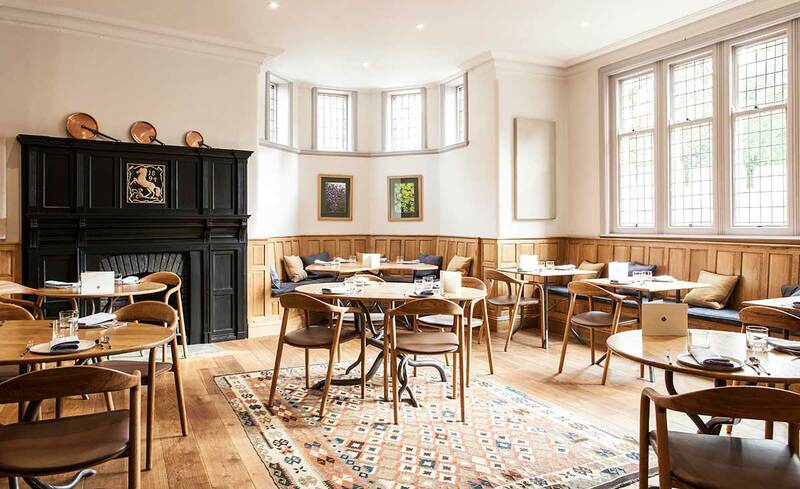 Housed in what was an old school boozer at the back of the Museum Gardens, Team Banks has again worked its magic and everything from the handmade plates to the carved wooden chairs and tree root inspired tables are things of beauty. Roots is a sharing plate restaurant (aren’t they all? ), but while you can mix and match from the small, but perfectly formed menu (dishes range from a fiver to upwards of £20), most opt for the Feast where for £50 a head the kitchen will choose a selection of 10 dishes. Like much of Banks’ repertoire a lot of the menu sounds like a culinary car crash – I offer by way of evidence, smoked eel doughnuts. And yet these beautifully cooked fishy morsels contained within a sweet, deep-fried ball of doughy loveliness turn out to be a match made in heaven. So too is the lamb and fermented turnip boa. They don’t go in for lengthy descriptions at Roots, but if they did they would tell you that these impossibly light dumplings are the ideal home for a perfectly cooked piece of lamb and who knew that fermented turnip could be such a delicately flavoured accompaniment? In Banks’ hand even the simplest elements become works of art. Take the wafer-thin seed crackers served with cultured butter and a moorish custard made from Lincolnshire Poacher. Had the kitchen run out of all other food, they could have given me a basket of these and I’d have still left Roots deliriously happy. The dishes though did keep on coming. There was Banks’ signature dish of beetroot cooked in beef fat, which turns this root vegetable into a dense, meaty triumph; there was melt in the mouth ox cheek, simply complemented with cauliflower and kale; there was pea falafel, whose vegetarian credentials were obliterated with a glorious slither of pork fat. By the time we hit desserts, I had reached peak Banks. That might explain why I found the deconstructed version of a lemon meringue pie interesting rather than mouth-watering, but he hit his usual form with the carrot and chicory root tiramisu. Again, it sounds like something a small child might concoct if left unsupervised in the kitchen, but the ice-cold sorbet on top of sweet candied carrots turns out to be a dessert Willy Wonka might have conceived. I liked Roots. A lot. In fact, it’s just a few short steps from perfection. Just a couple of things. Wherever you keep the coats can you buy a heater and if it’s possible turn the temperature up a notch in the ladies’ loos too. Your staff are lovely; I can’t fault their friendliness, but some seem less confident at chatting through each dish with diners. I want to hear about the allotment out the back of the Black Swan where the veg comes from; I want to hear that Banks is often out foraging and I want to know when he decided that carrot was a suitable ingredient for tiramisu. Banks’ food has always been about telling stories and Roots looks like another fabulous chapter.